When was the last time you actually bought a toy for yourself? Some of my dear readers who are embracing the joys of parenthood must now be familiar with the frenzy that their children possess about toys. It is indisputable to say that a toy holds a significant place in one’s childhood. But, can we crave them when we become adults? Well, 2017 has broken yet another convention we attach with grown-ups. It has shed light on how we all share an eternal bond with toys. Who is to be credited for this sudden realisation? The answer is our Fidget Spinner. The word itself topped the charts on search engines around the globe. This non-existent entity popped up from nowhere and equipped the hands and minds of people. Fidget Spinners are small, ball bearing devices that the user can rotate between his/ her fingers. They employ little physics in their functioning and provide pleasure to the user. Catherine Hettinger, a chemical engineer invented this plaything in the 1990’s. 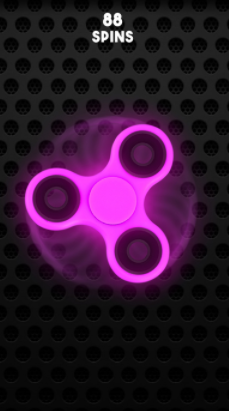 After nearly three decades, the fidget spinner has been able to gain some ground. What else could have the audacity to make the youngsters drop their cell phones! It is being marketed on the belief that it relieves stress and anxiety. It has the potential to aid autistic and dyslexic children. The opinions of researchers are divided on its usefulness. Some call it a myth and some a fad. For some it improves the attention span while for others it is no less than a distraction. We may or may not agree with the benefits that the device claims but it is certainly a buzz today. The toy might fade away someday. Somehow, the kind of rapture it has brought can be reiterated. 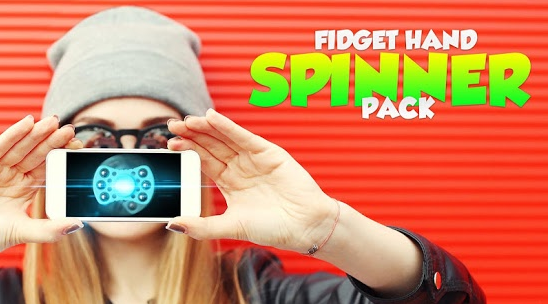 This is being accomplished with the introduction of certain gaming applications that work on the principle of fidget spinner. 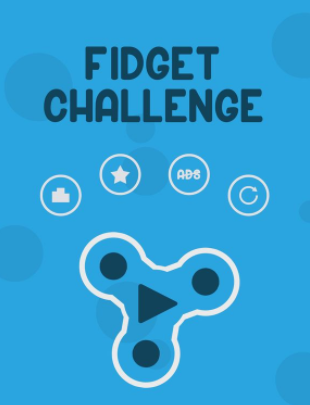 So here is the list of the top fidget spinner apps. 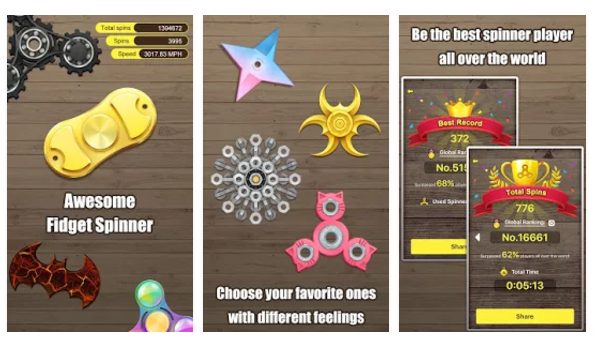 Ketchapp, a renowned name in the field of gaming applications has featured the alluring fidget spinner in the form of an app. 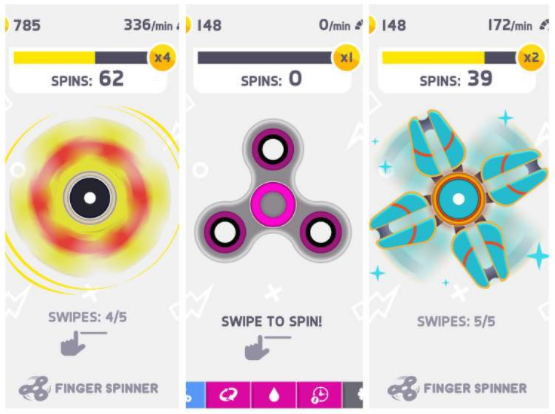 The game enables you to have five swipes to set the best spin you can with your finger. When the spinner stops, you reap the rewards. Taking pride in having 4.3 star ratings on Google Play store, this app is an absolute iconoclast. Downloaded by over one million users, it has really broken the back of a plethora of established gaming apps. So if you wish to acquire an enthralling gaming experience and learn some out of the box tricks, Ketchapp is your call. This app makes your fingers dance a little and simultaneously allows you to earn a penny. Don’t get perplexed when you meddle with the tricks. All you have to do is to rest for about 2 to 2.5 minutes until the spinner shines. The moment it glistens, press it. It has achieved an outstanding rating of 4.5 stars on the play store. Ten thousand downloads is another laurel to its kitty. What makes this app special is its incredible 4.4 star rating on Google play store. It is on a mission to reach the zenith in terms of popularity. The bugs are getting fixed and graphics are being worked upon. Every update of this app brings forth a novice concept. Be it a paid or a free version, the choice is all yours. This app has broadened its base by publicizing on social media platforms. It is available in both paid and free versions. It has garnered huge applause even by those who are quite fastidious. It has the intent and content to become one of the leading contenders in the gaming field. This fun- packed simulator series demands some workout from your fingers. 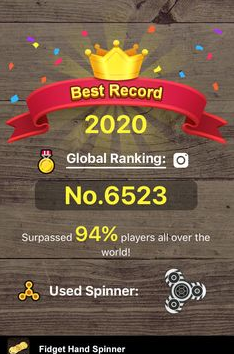 There is little dispute on the kinds of spinners the app offers. Some people have issues with the time taken for a spin to occur. The download rate is appealing. Its free version is available on the play store. One of the most eminent developers in the gaming field, Fotoable.inc has come up with a revolutionary app. The distinguishing feature of this app lies in its weather forecasting abilities. Undoubtedly, it’s a dual-function application. A free version is available on the play store. However, if you wish to enjoy an add-free gaming experience, install a paid version. This app is a spot on game for the Apple users. It runs for free on every Apple product. Spin it all day long and you still would relish every moment. It has gained good reviews from its users. 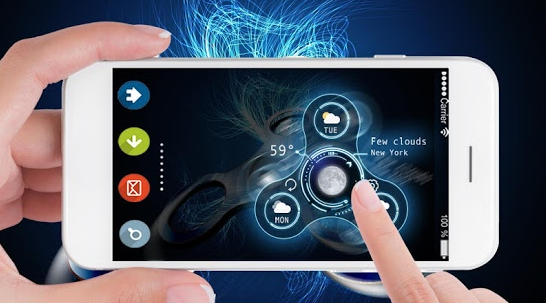 With spurt in spinner apps, this app aims to achieve higher levels of important features. The perks include exciting prizes and an impetus to perform well. It can help you span over the journey from an amateur to a professional. This app is designed by Branislav Markov. One can toss the spinner as many times as one wants. The higher the number of spins, the better is the receipts. It has been specifically designed for the Apple Store. Proficient in both skills and performance, it is available in both free and paid versions. 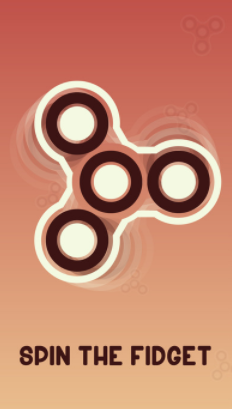 The Fidget spinner is a rage in the present times. If you have not got hold of one, don’t fret. You may not even want to procure one for it can reside in your phone. I hope the aforesaid information is of use to you. Now you have a fair idea of all that is in store for you. The developers have left no stone unturned in providing you the best of gaming experience. You do not need to fiddle through a multitude of fidget spinners on a toy shelf. The toy has been deftly incorporated in your cell phone. What all you are required to do is to choose wisely. Author Bio– This article is written by Aneesha Pental. She is currently pursuing English Honours and loves to write about latest technology topics, tips and tech. tricks.